Chester and Hopewell. It's street address is 1107 Greyledge Boulevard. 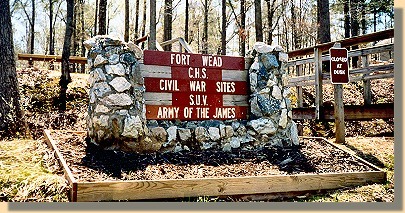 Fort Wead was constructed in June 1864 at the rear of the Union lines. Although it's purpose was to prevent Confederate forces from advancing in the event the Union lines were broken, it was never used. 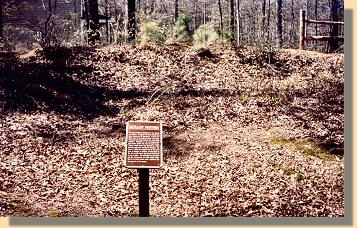 In this section, photographs of the Chesterfield County interpretive signs at Fort Wead, along with photographs of their locations, and the text of the signs are presented. 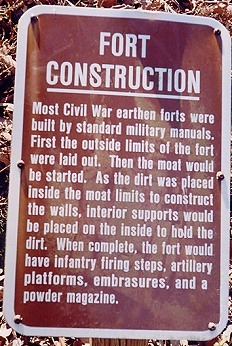 FORT CONSTRUCTION: Most Civil War earthen forts were built by standard military manuals. First the outside limits of the fort were laid out. Then the moat would be started. As the dirt was placed inside the moat limits to construct the walls, interior supports would be placed on the inside to hold the dirt. When complete, the fort would have infantry firing steps, artillery platforms, embrasures , and a powder magazine. Outside earthen wall above the now-dry moat. POWDER MAGAZINE: This magazine was built to hold gun powder and shells for the guns. 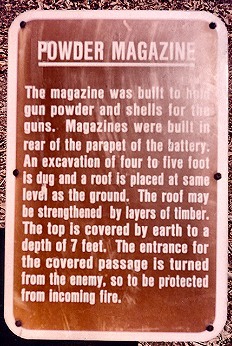 Magazines were built in rear of the parapet of the battery. 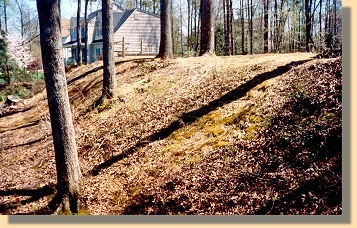 An excavation of four to five foot is dug and a roof is placed at same level as the ground. The roof may be strengthened by layers of timber. The top is covered by earth to a dept of seven feet. The entrance for the covered passage is turned from the enemy, so to be protected from incoming fire. 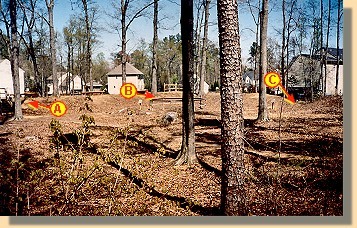 ARTILLERY POSITIONS: The west wall has positions for six pieces of artillery. The guns that were placed here were known as 32 pounders. In this fort they were to be used as giant shot guns, sweeping the open field to the west with canister . Canister is a tin can loaded with iron balls about the size of golf balls. These would cover the ground in a wide pattern and were deadly to infantry. 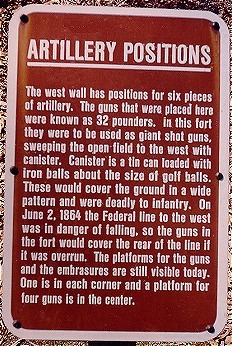 On June 2, 1864, the Federal line to the west was in danger of falling, so the guns in the fort would cover the rear of the line if it was overrun. 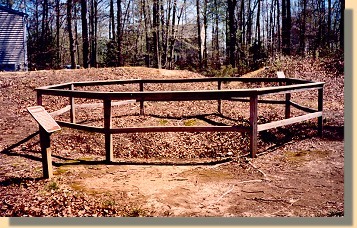 The platforms for the guns and the embrasures are still visible today. One is in each corner and a platform for four guns is in the center.